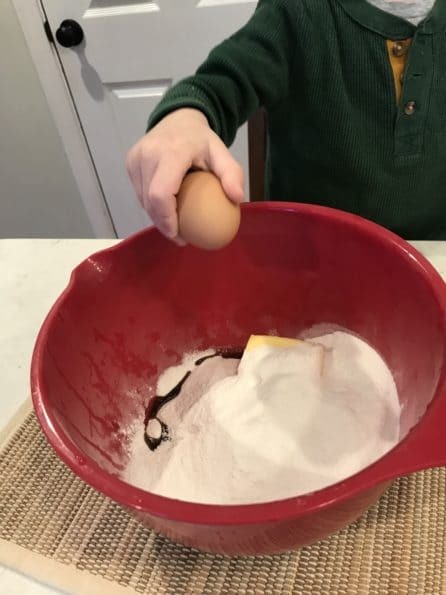 Quinn and I were flying solo last night (Mal is in Maine), so when I picked him up from school, I asked him what he wanted to do with our Friday night. His response: “I want to go to the toy store and make green cookies.” Well, ok then! The kid knew what he wanted, and it sounded like a great plan to me! Our first stop was The Toy Box in Hanover. 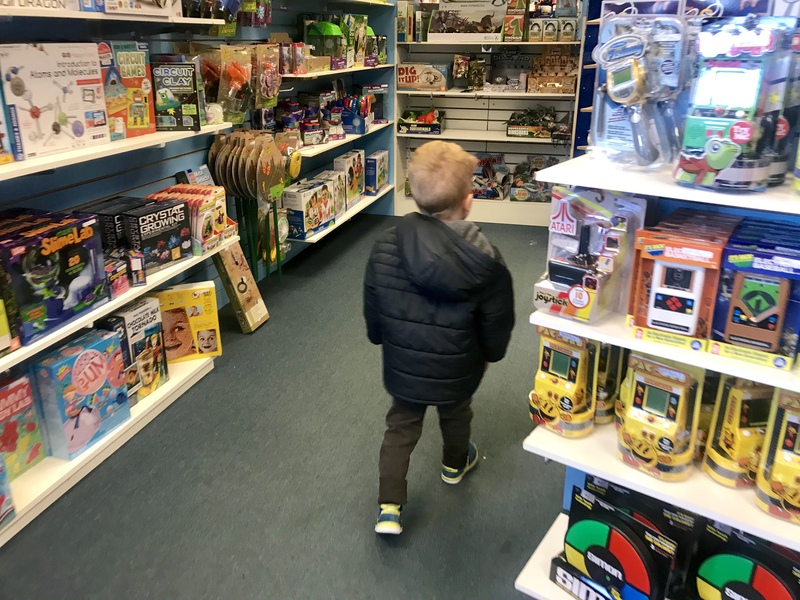 It’s a local shop, and it truly does have the best toys – sometimes even better than Target! And, of course, we love supporting small businesses, so we often shop there for gifts. When we pulled into the parking lot, Quinn literally RAN from the car inside the store. He. Was. Pumped. 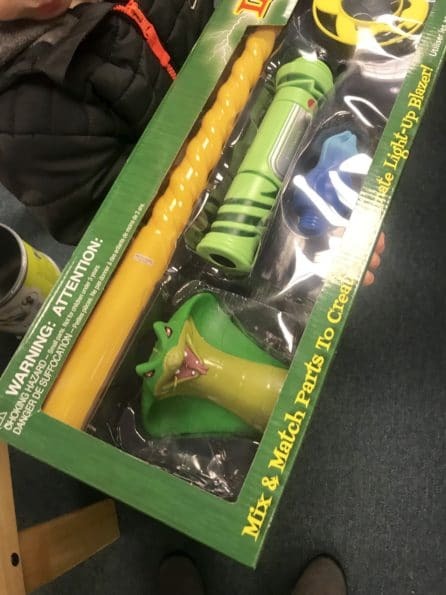 We wandered around and played with all sorts of toys for a solid 20 minutes before he stumbled upon a “Cobra Light-Up Blazer.” His face immediately lit up with excitement, so I knew that was the toy! 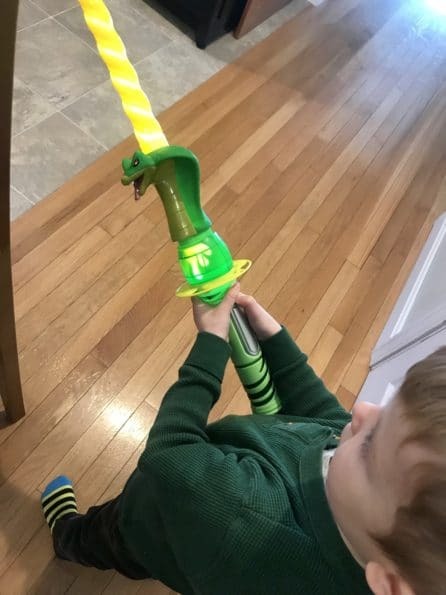 The “Serpent Sword” was an immediate hit the second we took it out of the box. It lights up and has 3 different settings! 🙂 We played with it all night and the sword even “slept” on the couch in Quinn’s bedroom. He wanted to take it into bed with him, but that was not happening! He would have never slept! Haha! After dinner, we baked a batch of sugar cookies. 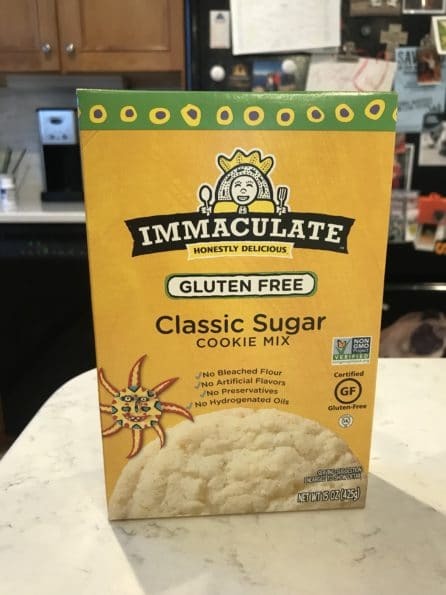 We’re loving the ones from Immaculate. They’re super easy to make, non-GMO, and gluten-free! 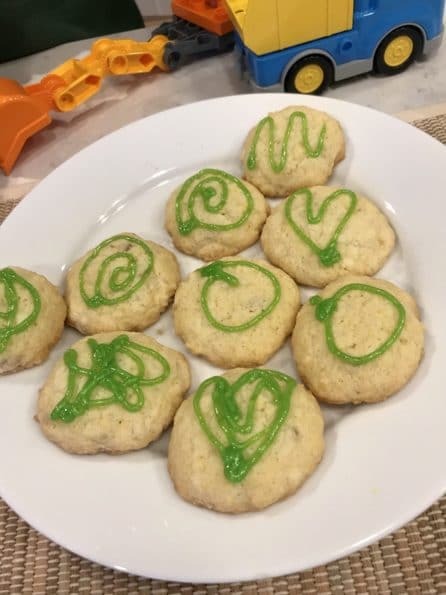 Once the cookies were finished baking, we decorated them with a (very non-GMO) sparkly green frosting for St. Patrick’s Day. After making cookies, we watched part of Moana and then headed to bed. The post Friday Night With Quinn appeared first on Carrots 'N' Cake.